Alex Dehgan’s new book The Snow Leopard Project details successful strategies for conserving endangered wildlife — and helping people in the process. 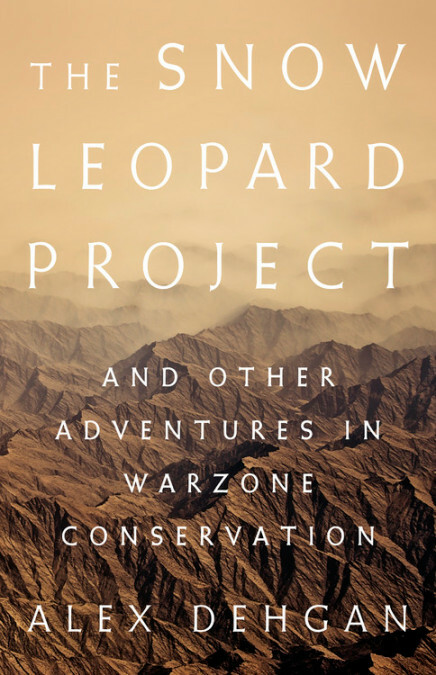 Dehgan and his colleagues’ arduous efforts, chronicled in his new book The Snow Leopard Project: And Other Adventures in Warzone Conservation, highlight one central key to their success: the importance of empowering local people to govern their natural resources. 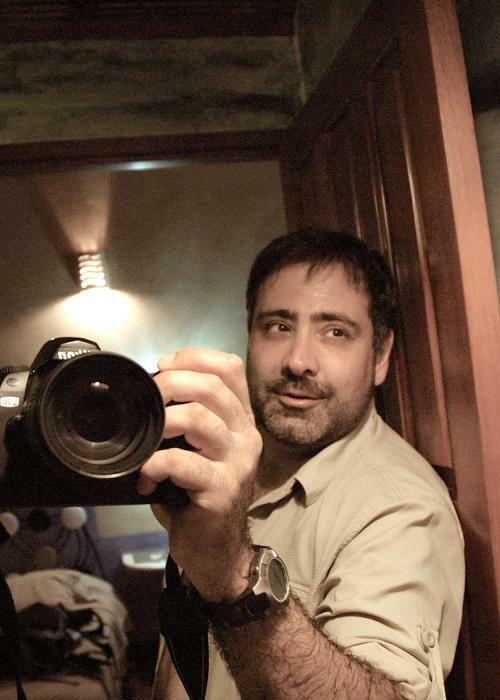 Despite the land mines, bombings, lack of infrastructure and threat of attack, Dehgan says “Afghanistan was the easiest conservation job I’ve ever had.” Prior to his work there, he’d studied lemurs in Madagascar, helped rewrite environmental laws in post-Soviet Russia, and helped rebuild scientific capacity in Iraq. Compared to those places his latest assignment was a breeze, he says, because the Afghan people were so welcoming and invested in the process. “The most important investment we made was in the Afghan people,” he says. “You have to harness human behavior, rather than work against it.” To that end his team helped piece together the funding, enhance scientific capacity, strengthen existing institutions and create new ones, where necessary, and empower people to own management systems of national parks. Dehgan recalls how he had goosebumps as he watched the Afghan people assemble and seize opportunities to manage their own system of national parks. “This was about the people, protecting their identity, which helped us be successful in the face of difficult odds,” he says. The largely rural Afghan population understood, perhaps more than most, that human conservation and species conservation go hand in hand. “For them, natural security was clearly tied to national security,” he says. Dehgan left Afghanistan in 2007, but his efforts ultimately led to the country’s first national park, at Band-e-Amir, that year, which the Wildlife Conservation Society documented was home to ibex, Persian leopards and Himalayan lynx, among other species. After that the momentum continued. In 2014 the 4,200-square-mile Wakhan National Park was established in a corridor of 20,000-foot-high mountains that connects Afghanistan to China and separates Tajikistan from Pakistan. The park encompasses the entire distribution range of Marco Polo sheep in Afghanistan and 70 percent of its snow leopard habitat. Dehgan credits these and other achievements to the enthusiasm of a vast team of conservationists, from WCS Asia director Peter Zahler to Afghan officials such as wildlife enthusiast Prince Mostapha Zaher, grandson of a popular former monarch and then head of Afghanistan’s National Environmental Protection Agency. All of this was about more than just setting aside land. 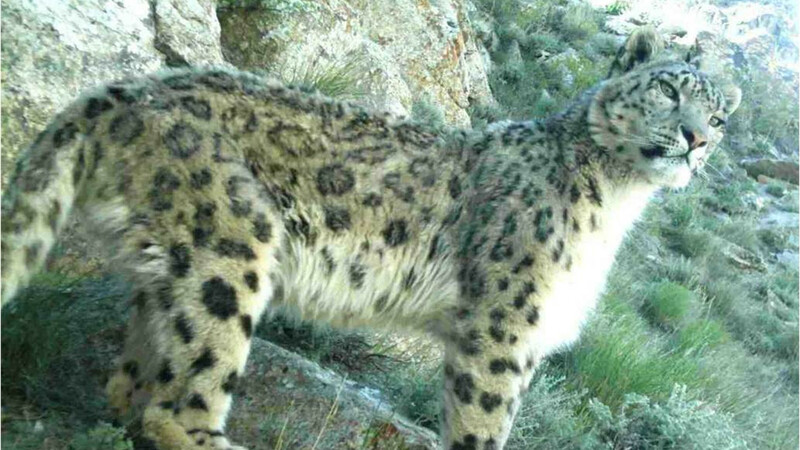 As the team laid the groundwork for the protected areas, they realized the snow leopard faced distinctive threats — notably, poaching and a lack of prey. Illegal trade of exotic pelts was largely driven by humanitarian military presence from the West, Dehgan says. One American soldier reportedly ordered 100 lynx and snow leopard comforters. To collapse demand for exotic pelts, Dehgan and colleagues first developed an awareness campaign to make it socially unacceptable to own endangered cat rugs, bedding or coats. The team also went undercover to measure the illicit trade supply and demand, trained customs officials how to spot illegal items, and shut down wildlife trade at pop-up markets on military bases. The Wildlife Conservation Society even began training American soldiers about wildlife concerns, including illegal trade, before they were dispatched to Afghanistan. To Dehgan’s surprise Afghan fur-store owners, whose shops had been hurt in the crackdown, asked him for training to identify which species they could sell legally and without impact on their country’s wildlife. Instilling pride in a region’s native wildlife is a powerful tool, he says. In the 1970s the international nonprofit conservation organization Rare created a successful marketing campaign that incorporated St. Lucians’ namesake parrot as part of their identity, featuring it on everything from billboards and T-shirts to local music and artistry. The parrot made a dramatic comeback, an example that long resonated with Dehgan and inspired his work in Afghanistan. In addition to working toward a decline in poaching, the team took steps to tackle the other threat facing the snow leopard — a lack of prey, which led to conflict with farmers, including retaliatory killings, when snow leopards attacked livestock for food. Their efforts focused on restoring rangelands, which, Dehgan says, not only prevents desertification but also serves to better support a prey base to keep hungry snow leopards fed, thereby relieving stress on livestock owners. The experiences in Afghanistan demonstrated the power of conservation to rebuild governance and diplomacy in conflict areas, which Dehgan says he hopes is one of the main lessons of his book. There are additional areas where it could prove a useful strategy, he adds. For example, one of the largest ungulate migrations in the world was found in 2007 in south Sudan, having persisted over 25 years of civil war. “Conservation allows a way to reintegrate opposing sides, provides a common language around a new sense of identity, and brings in development dollars to support a struggling country,” he says. It also offers work options for former military in post-conflict areas. Dehgan suggests the Revolutionary Armed Forces of Colombia, or FARC, or even former poachers could be retrained as park rangers or wildlife guardians. is a freelance science journalist based in Portland, Oregon. While her reporting covers biodiversity broadly, lately she has focused on climate change, land use and food security. 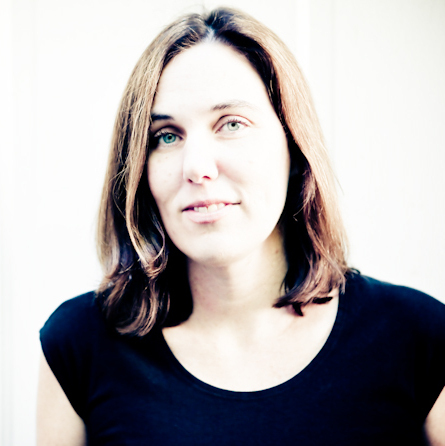 Her work appears in The Atlantic, Nature, bioGraphic, Civil Eats and elsewhere.